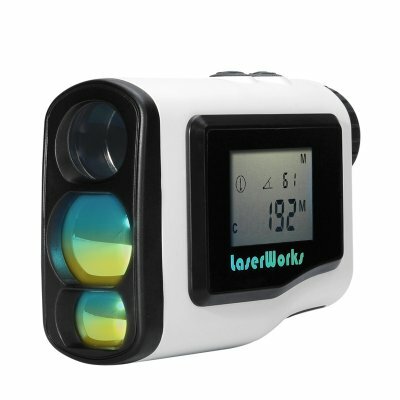 Successfully Added 600 Meter Laser Golf Range Finder - 6x Zoom, LCD Display, Fog Mode, Scan Mode, Waterproof to your Shopping Cart. Whether you are on the way to pro-golfing, are just starting out or planning your very first golf outing next month, the 600 meter laser golf range finder is a great tool to get the best out of your game. The laser range finder is compact, easy to use and simple to carry around. Misty skies after a rain, heavy morning fog, lots of objects in the background and more – many things can contribute to poor visibility at the golf course. Luckily, there is one simple gadget that can get rid of all the trouble – the laser golf range finder. It can give you accurate distance measurements to any target you see. What’s more, thanks to the flagpole scan mode, the range finder will be able to distinguish your true target from other background objects. Thanks to the 6X magnification, you will be able to see your target clearly as well. Thus, you can use it on any golf course, in any weather conditions, with the battery lasting well over a few rounds. All the information you need is conveniently displayed on a 1.8 inch LCD display. The range finder is waterproof and can be easily used in any weather conditions. Apart from golfing, the gadget can come in handy for most fans of the big outdoors when traveling, navigating, camping and more. The 600 Meter Laser Golf Range Finder comes with a 12 months warranty. Brought to you by the leader in electronic devices as well as wholesale laser golf range finders..